Zack Sampson filed this request with the U.S. Department of Education of the United States of America. Your request (below) has been forwarded to the appropriate office within the Department to search for responsive documents. If you have any questions regarding the status of your request, please contact the FOIA Requester Service Center at (202) 401–8365 or by e-mail at EDFOIAManager@ed.gov<mailto:EDFOIAManager@ed.gov> (please include the case tracking number). Please find attached to this email, the final response to your Fee Waiver request. This email is in regards to the FOIA request you submitted to the U.S. Department of Education ("Department") dated October 1, 2013. Because of the government shutdown, the Department was unable to acknowledge your request until October 25, 2013. Due to the Department's pending FOIA backlog, we are unable to fulfill your request within the 20-day timeline. Your request is currently still being processed by the appropriate program offices. I wanted to follow up on the following Freedom of Information request, copied below, and originally submitted on Oct. 1, 2013. Please let me know when I can expect to receive a response, or if further clarification is needed. You had assigned it reference number #14-00048-F. This is the Department's final response to your request dated October 1, 2013, requesting information pursuant to the Freedom of Information Act (FOIA), 5 U.S.C. § 552, which was received in the FOIA Service Center (FSC) on October 25, 2014. 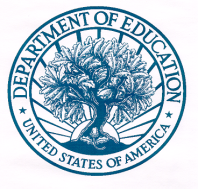 Your request was forwarded to the appropriate offices within the Department of Education (the Department) for any responsive documents they may have. Documents related to the operations of federal websites during the government shutdown. 1) Memos and shutdown plans addressing the operation of this agency's websites during a government shutdown. 2) Any cost-benefit analyses related to the operation of this agency's website during a government shutdown. 3) Any security analyses related to the operation of this agency's website during a government shutdown. 4) Annual budget documents showing the costs of operating of this agency's website. The Department did not issue a formal shutdown memo about the agency's websites during a government shutdown. We referred to relevant parts of the government shutdown ED website plan that was prepared in 2011 (see attached). No cost-benefit analysis was conducted. The central issue discussed was whether it was critical for the websites to remain up to facilitate the work of the excepted staff who would continue to work during shutdown. The Department's Security Operations Center maintained steady state operations, 24x7, for the duration of the Government Furlough. The contractor staff, with oversight from the Chief Information Security Officer, continued to monitor the security status of networks and the Department's various websites. During the furlough, no significant security events were noted. Annual budget content is available to the public on the Federal IT Dashboard: ED Web (ed.gov) https://www.itdashboard.gov/investment?buscid=820. Select the Current Exhibit 300 tab to review the latest update. By letter dated November 4, 2013, the Department granted your request for a waiver of all fees, therefore, there are no processing fees associated with your FOIA request. If you have any questions, please contact the FSC at (202) 401-8365 or EDFOIAMANAGER@ed.gov<mailto:EDFOIAMANAGER@ed.gov>.